The Independent National Electoral Commission on Thursday failed to start the distribution of electoral sensitive materials in Imo State as had been earlier scheduled. Our correspondent, however, learnt that the distribution of the materials for the presidential and National Assembly elections will begin in the state on Friday afternoon. 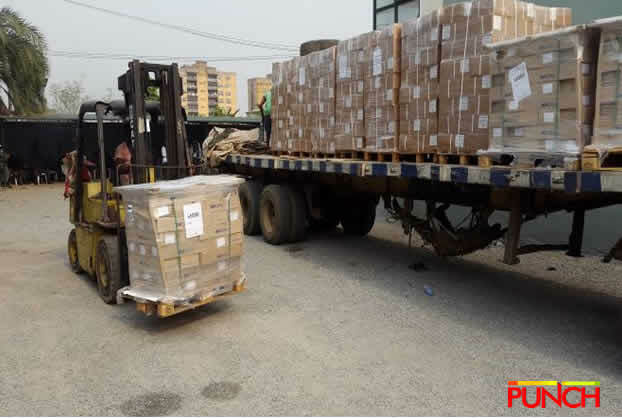 Although efforts to learn officially why the distribution of the materials could not start on Thursday proved abortive, our correspondent gathered that it might not be unconnected with inadequate logistics arrangement. The spokesperson for INEC in Imo State, Emmanuela Opara, confirmed the preparedness of the electoral body to begin the distribution of the materials on Friday afternoon. Meanwhile, our correspondent learnt that some soldiers under the auspices of Operation Python Dance had been deployed at Akabo, along the Okigwe-Owerri Road. A source who used the road early in the morning told our correspondent that the deployment of the soldiers for routine security checks was already causing considerable traffic jam along the major road which leads to the Owerri capital city from some local government areas including Mbaitolu, Ikeduru, Ehime-Mbano, Isiala-Mbano and Okigwe.